https://www.tradingdepot.co.uk/carron-phoenix-unisink-1sdt-1-bowl-2-taphole-stainless-steel-kitchen-sink-left-hand-drainer-101-0023-703 78906 Carron Phoenix Unisink 1SDT 1 Bowl 2 Taphole Stainless Steel Kitchen Sink - Left Hand Drainer - 101.0023.703 https://www.tradingdepot.co.uk/media/catalog/product/1/0/101.0023.703.jpg 50.6 50.6000 GBP InStock /Kitchen/Kitchen Sinks/Stainless Steel Kitchen Sinks /Brands/Carron Phoenix/Carron Phoenix Kitchen Sinks/Carron Phoenix Stainless Steel Kitchen Sinks/Carron Phoenix Unisink Stainless Steel Kitchen Sinks The Unisink 1SDT stainless steel kitchen sink with left hand drainer is the entry level 2 taphole kitchen sink and features a traditional design for builders. 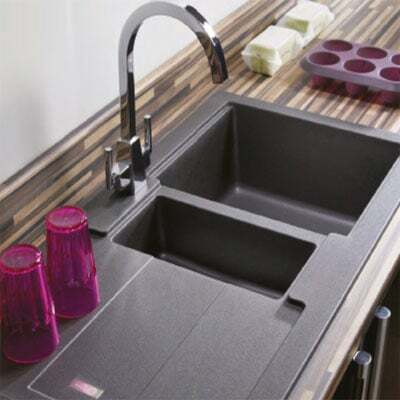 The Carron Phoenix Unisink 1SD one bowl kitchen sink is the entry level 2 taphole inset sink. The Unisink 1SD kitchen sink is ideal from smaller compact kitchens and is a popular choice for builders and developers.